The next generation 802.11ac wireless standard is set to revolutionize Wi-Fi. Super-speed 802.11ac dual-band routers are already available but wireless devices are still stuck with 802.11n technology. 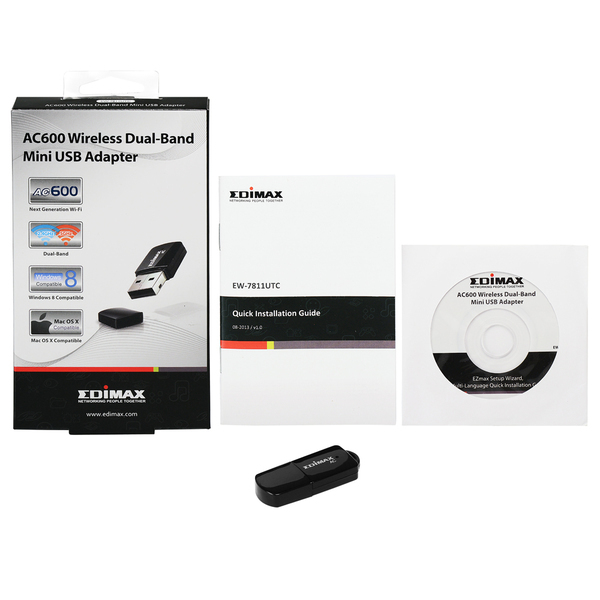 Upgrade your wireless device to dual-band 802.11ac with the fastest possible USB 2.0 connectivity for blistering Wi-Fi speeds on the interference free 5Ghz frequency band. 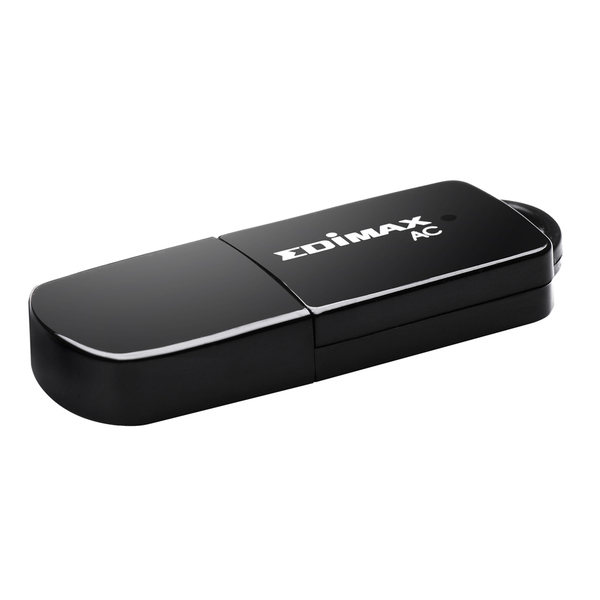 The Edimax EW-7811UTC is the next generation of Wi-Fi adapter, compatible with the draft 802.11ac standard and delivering speeds of up to 433Mbps at 5GHz - almost three times as fast as 802.11n. Upgrade PCs and notebooks to super high speed 802.11ac Wi-Fi and enjoy streaming video and data. Enjoy better performance and greater flexibility for your Wi-Fi devices, using dual-band connectivity. The EW-7811UTC provides connectivity for the 2.4GHz band at speeds of 150Mbps or 5Ghz band at speeds of 433Mbps. You can surf the internet and check your email on the 2.4GHz band, or select the 5GHz band for online gaming and video streaming. 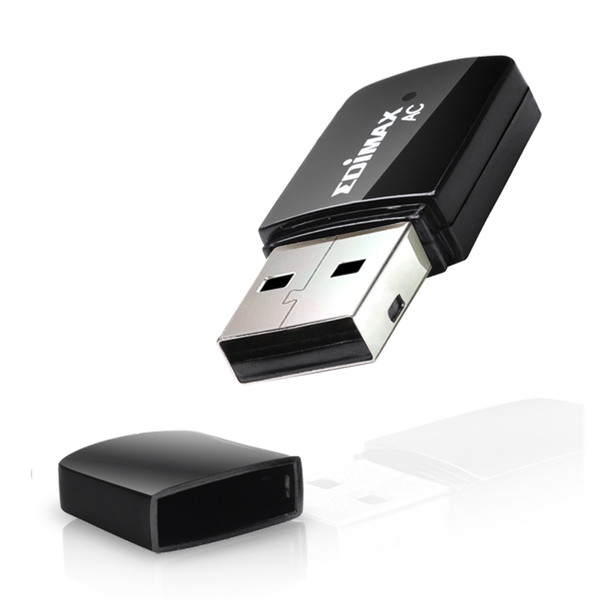 Use the EW-7811UTC to download and stream media from YouTube, Netflix or other services without waiting for buffering, or stream media across your network from a NAS (network-attached storage) at lightning speeds. Streaming HD movies or downloading is faster and more reliable than ever with 802.11ac Wi-Fi. 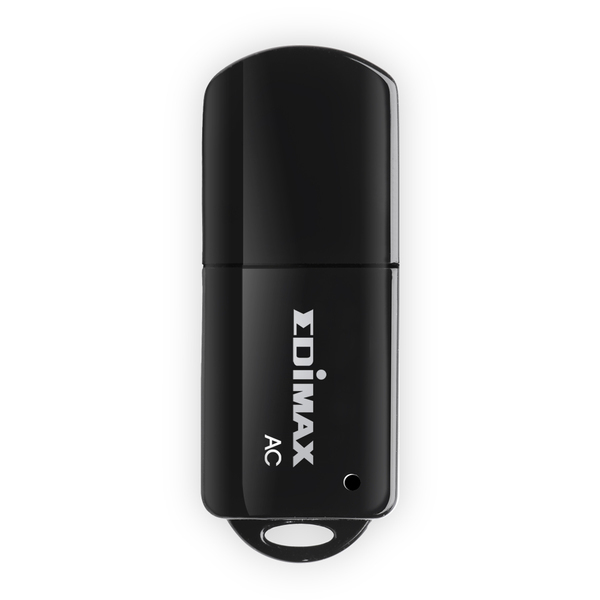 Designed for efficiency and performance, the mini-sized adapter is lightweight, sleek and portable. 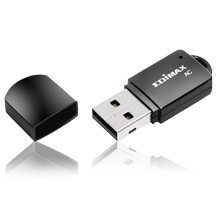 Incorporating 11ac technology into users’ lifestyles and unlocking a new world of potential Wi-Fi applications, the low-profile mini-adapter sits almost unnoticed in any USB drive and travels with your laptop wherever your lifestyle takes it. . 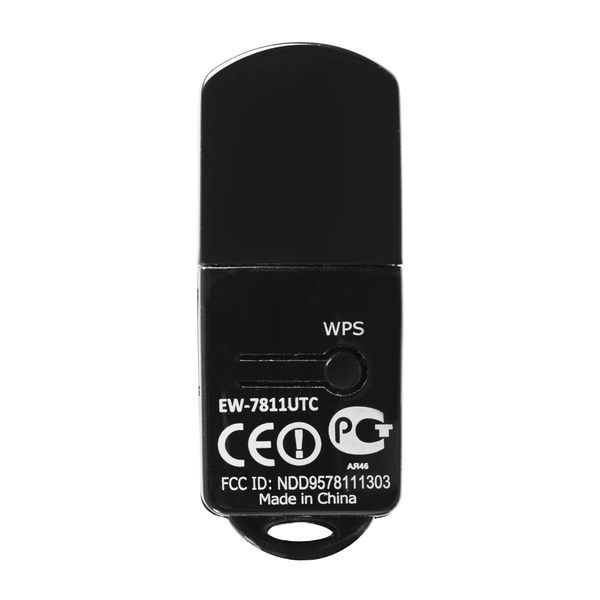 The EW-7811UTC has a one-click Wi-Fi Protected Setup (WPS) button to help you set up and activate a secure wireless network in a snap.